The Museum of Modern Art in Manhattan is presenting a special six-month exhibition of Edvard Munch's "The Scream," which sold for nearly $120 million at auction. The exhibition opens on Wednesday and will run through April 29. It will include a small group of works of the same period. 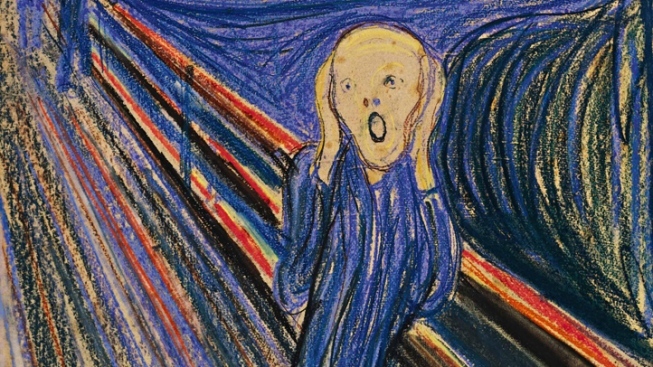 The painting is the most expensive artwork ever sold at auction. It was purchased by an anonymous private collector at Sotheby's in May. Munch created four versions of "The Scream" between 1893 and 1910. This is the only one in private hands. The others are in Norwegian museums. The image of a man holding his head screaming under a streaked, blood-red sky has become a modern symbol of human anxiety.